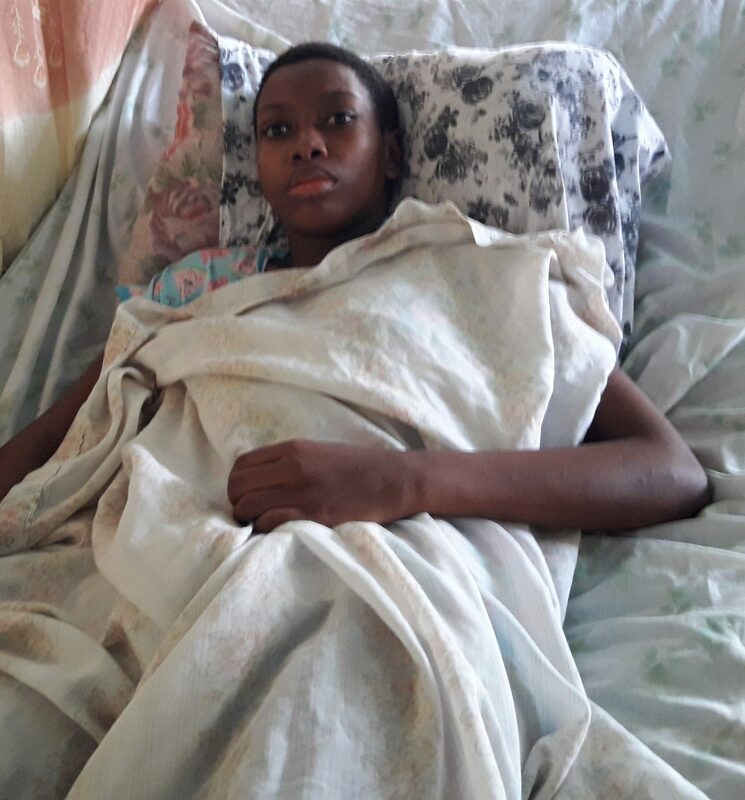 Fifteen-year-old Rose Hall champion cyclist, Beyonce Ross who was in a critical condition at the Georgetown Public Hospital passed on yesterday after battling a brain tumour. The once energetic champion was unresponsive in the ICU at the city hospital since last Thursday. However, her family refused to give up hope and were praying for a miracle. The teenager passed on at approximately 2. 15 am yesterday. Her mother, Yonette Clarke told Stabroek News on Sunday evening before she and other relatives left the hospital that Ross had been showing some signs of improvements. The woman said, “Her vitals had gone up before we left (Sunday)”. The grieving mother noted that Ross’s body is being kept at the Arokium Funeral Home in New Amsterdam. She said the family would now sit and discuss a possible date for when the teen would be laid to rest. The three-time junior gold medal cycling champion fell ill in early February. After an MRI scan it was discovered that Ross had a tumour in her brain. However, Ross found out last Monday that her tumour was not cancerous and just as the family was feeling some relief her condition suddenly worsened on Thursday. The teen was rushed to the New Amsterdam Public Hospital after which she was transferred to the Georgetown Public Hospital, where doctors said she was “brain dead”. Her mother, father and brothers were all by her side at the city hospital. Ross underwent her first operation on April 13 in order for a shunt to be placed to drain the buildup of fluid in her brain to her abdomen, after which she spent six days at the Georgetown Public Hospital. Ross, a Lower Corentyne Secondary School student wanted to become a teacher. The teenager who was in the business stream was visited every day by her classmates and teachers of her school which is located a stone’s throw away from her house.